This theory actually caters with the problems arising among principle and agents. This theory looks at the conflicts arising among principles and agents. Principle and agent; these two factors make an agency in which one is acting on behalf of other or representing the other. In a company principle agent relationship exists between Shareholders (Principles) and management (Agents). Shareholders are the owners of the company who invest their capital. They directly or indirectly hire management to run the affairs of the business. They expect them to carry out the business in favor of shareholders and generate maximum profits. So management have obligation to run all affairs of the company using their knowledge, skills and abilities and honestly. Managers are custodian of shareholders’ interest. But sometimes there may be a situation when interests of shareholders and agents differ. And this variance in interest creates problems. This is called Agency Problem. Shareholders may suffer because of certain decisions of the management which are in favor of managers. Managers are majorly concerned about their monetary benefits, rank, position and rooting in the company so they may hide some material facts which are the consequence in guarding their own interests. For example, CEO may want to increase its managerial empire and personal stature and use funds to finance unrelated diversification. This could reduce shareholders’ value. • Opportunity costs which are incurred when shareholder-imposed restrictions, such as requirements for shareholder votes on specific issues, limit the ability of managers to take actions that advance shareholder wealth. This term Turnover is used for so many purposes where some can good and some have adverse impact on situations. "Turnover can be defined as the percentage of units leaving or replacing the whole family". Employee Turnover: Employee turnover means number of employees leaving a company in a given time. Mostly companies see high employee turnover as a negative sign and try hard to retain employees with them because hiring new employees is a costly job. But sometime when companies delibrately fire employees to reduce financial burden. Sales Turnover: Sales turnover is the percentage of goods to sold with respect to production. The high this turnover the better for company as both the profit and market share increases with this. Poverty is a curse and the biggest hurdle in development of a country. In underdeveloped countries there prevails vicious circle of poverty. There can be various factors responsible for it, for example; underutilization, mis-utilization or un-utilization of resources, low capital formation, population growth, low rate of saving and investment etc etc. It shows that when a country is poor, incomes of people are low, when incomes are low they hardly meet the need of bread and butter, in this situation they are unable to save so country has low rate of saving. When there is no saving what would be there to invest. Hence low rate of investment. When there would be no investment, there would be low capital formation and low productivity per worker and because of this workers have low income. So this circle goes on. And it a big hindrance in the development of least developed countries. In Pakistan’s scenario, people have low incomes, so they can not save, and according to figures saving rate is 14% of our GDP which should be 25%. Now we can not say that this low rate of saving is all because of low incomes, we have consumption oriented economy so people are less willing to save. Middle income people are not left with enough to save and high class social group is more interested in lavish spending. Similarly with have very low level of capital formation and investment. People are not willing to invest, now its also not wholly because of vicious circle of poverty, its partly because of unstable political and social situation of our country, power crisis and terrorism, these factors are also contributing to low investment because of lack of trust. Since the investment is low so productivity is also low. Employers use Employee Stock Option Plans to compensate their employees. Employee stock option plan can be define as follows. "Under Employee Stock Option Plan companies grant employees right to purchase company shares on some future date at a specific price". As definition shows that this is only a right to purchase company stock on some future date and employees are not actually given anything physically. In this method of compensating employees employer give employees right to purchase company's shares at specific rate on future date which is mostly 5 years. It means that Employer grants right to employee to purchase 10,000 shares of business for say Rs.100 per share after 5 years, now suppose the price of one share is 150 after 5 years. Now employee can earn Rs.50 per share which will made him Rs.500,000. Benefits for Employees: There are so many benefits for employees. First of all they get handsome amount of cash after they exercise their right. They feel sense of ownership into the company and this eventually give them job security as well. Benefits for Employer: Employers get their employees motivated by giving them Stock Options and as this is a promise for future date so an employee has to stick with company for some years to exercise his right to purchase share which reduces the Turnover of company. According to lay man, marketing is all about selling and advertising the product. But in today’s corporate world it is one of the most important elements to run a business or business like activity. 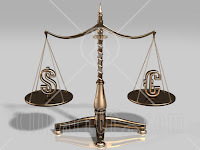 It plays a crucial role in earning profits for companies. Marketing is all about customer’s satisfaction. Companies create value for the customer (by providing required quality goods and services quality) to build long lasting and strong relationship to capture value from the customer in return. There are two goals of marketing; one is to attract new customers and build relationship with them and second is to keep and grow the existing customers by delivering superior value. How to deliver superior value? It’s quite simple; you just need to cater with the needs of the customer. One thing is most important and is the core of the marketing, i.e. “to know your customer”. You can do it in 2 ways, one is either you scratch out your customers need and delivers it or you can produce or innovate on a thing and then make it your customers need. If we take the example of Nestle Curd. They prepared a product which is already available in the market everywhere with much ease and at lower cost but still they made attractively packed curd and made it customers’ requirement. Marketing is a very broad term, it includes so many things but the purpose is one and that is to Gain and retain the customers, satisfy them and capture their loyalty in return. Marketing Concepts: To retain profitable customers, company needs to orient such strategies that would build long lasting relationship with customers. 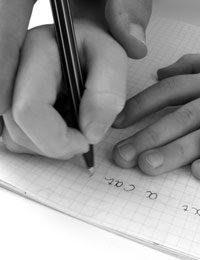 Following are 5 concepts, evolved with the passage of time to fulfill the needs of customers. The Production Concept: In production concept it is perceived that a customer favors such product which is readily available in the market at relatively lower cost. It is one of the oldest concepts. So the producers who follow this concept, tries to increase their production capacity and productivity as well to lower the cost. For this purpose they need efficient production processes and effective distribution channel for the placement of product. This concept is applicable in 2 situations, one; when demand is exceeding supply in the market, to outfit that demand excessive production is required to make the product available all over. Second; when products’ price is high because of too high cost, and improved productivity is required to cut the cost. The Product Concept: Product concept emphasizes on the view that customer favors the product that offer most quality, improvement, features and enhancements. For this purpose organization tries to put all its efforts in upgrading the product. This concept focuses on making continuous improvements. This idea can work to some extent, but in current era of latest technology and innovative inventions, it may not work that much successfully. The Selling Concept: In selling concept, it is being perceived that customer will not buy a certain product unless it’s being promoted and advertised massively. Such organizations that have the strategies according to this particular concept need a large sales force and promotional activities to make everyone well-informed regarding its product or service. The Marketing Concept: It is the modern concept, in which the focus is customers’ satisfaction. Company first analyze the consumers’ need and then produce such good and service to satisfy that need. In this way it can build a strong relationship with customer which can earn monetary benefits for the company. This is the concept which is popular nowadays. Because now customers are more concerned and well aware. They want their needs to be satisfied with rather compromise with available products. The Societal Marketing Concept: It is enlightened concept which emphasizes that company should make products which are not only satisfying the interests of customers and company’s but society’s long run interest are saved as well. For example, ozone free deodorants, they are environmental friendly and are produced keeping in view that how the environmental hazards can be minimized. Customer may not know the environmental benefit of the product but organization has done it for the well fare of the whole society. I am pleased to announce that Education Inn of Pakistan is now starting a new segment "EduReadings". In EduReadings I, with the help of some other subject experts, will discuss major terms and concepts which will purely help students in their studies. EduReadings is going to be a unique in its kind because it will give students to the point information about given topic and in addition to this EduReadings will not only simplify those concepts in simplest possible form but also makes sure that after reading about any topic student can really understand that concept and above all we will discuss all those concepts according to Pakistani prospective where it required. I will do my best to generate some useful and helpful material on as many topics as possible but for now I'm starting with some management related and general topics. But if you want any specific topic to be covered just let me know and I will try my best to sum that up for you. And also if you want to contribute in this cause you can mail your writings to eduinn@live.com. The two words up in the heading are too horrible to read, but unfortunately this condition is prevailing in our country. Now educational institutes are the target of terrorists. This thing has created a chaos among students of all ages. The terror of blasts has made students to sit home, unless the security measures are up-to-the mark in educational institutes. Students are the main asset of any country; terrorists are trying to paralyze our country. Parents are afraid of sending their kids to schools, colleges and universities. We do not know that how long this pathetic situation is going to prolong, but we can only pray. The blasts at Islamic University are highly condemnable. After that sadistic incident, there has been disturbance all over the country. 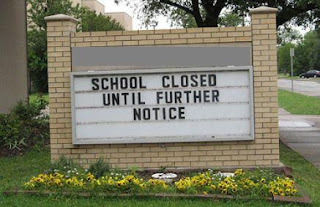 All institutes were closed till 26th October, 2009 and were asked to adopt security measures till then. All educational institutes have been asked to take standard security measures; which includes 8 feet high wall around the institute with wire hindrance up on it, no entry without students’ ID cards, properly equipped guards, metal detector gates etc; but mostly have been unable to follow the instructions given. The situation is too chaotic, some schools are open some are closed, which are open parents are afraid to send their kids; some opened but were closed again because security measure taken were too weak. Yesterday some explosive material was found from the Commerce University of Karachi. Due to which again a wave of terror run across the country. Some schools were again closed due to this. We used to have summer holidays and winter holidays, but now terrorism holidays are introduced to us. We condemn all this terrorist activity. our Govt. should take measures to end this as soon as possible. May Allah bless us and our Country and get us rid of terrorism; AMEEN. Lahore University of Management Sciences: The most Prestigious university of Pakistan, LUMS, is ranked at the top for its MBA. It has touched the reputation for its MBA, that every organization, either national or multinational hires the graduates of LUMS. In 1986 LUMS launched its Business School with a world-class MBA programme (recently the School has been renamed as the Suleman Dawood School of Business). To be a LUMS graduate is a remarkable achievement. LUMS produces professionals, who can compete in the market and have significance and intellectual of their own. LUMS’s MBA is recognized throughout the world. It has gain such repute through hard working, competent, dedicated and highly professional faculty. The level of studies, contents of courses, kinds of courses and the way all these things are integrated, is the key to such promising institute’s success. Students are assessed, brain stormed, and given such activities which enhance their skills and abilities. Culture at LUMS is more towards modernism, western and lavish. Usually students belonging to upper class are found at LUMS. 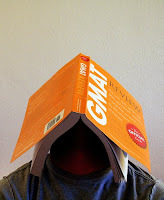 To be at LUMS for Masters in Business Administration, they require GMAT, and if you get yourself cleared in the test then interview and after that admission. Though to be at LUMS requires a lot of money, but students can also get financial assistance to carry on their studies. Institute of Business Administration (IBA), Karachi: Institute of Business Administration, Karachi; a giant among the institutes for MBA. It’s a dream of almost every student with business background to get its Masters in Business Administration done from IBA Karachi. It is ranked after LUMS in HEC ranking. 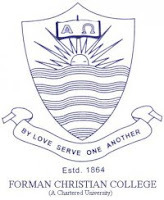 It was established in 1955 with initial technical support provided by the world famous Wharton School of Finance, University of Pennsylvania; later, the University of Southern California set up various facilities at the Institute and several prominent American professors were assigned to the IBA. It holds ultimate market worth for its degree. 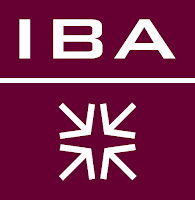 IBA has produced about 8000 graduates to-date as outstanding professionals holding Chief Executives and top management positions in leading listed companies, corporations and banks. To get admission at IBA Karachi for its MBA, you need to clear its test with required marks and then you are being called for an interview and if your interview works then you are at IBA (Karachi). MBA program consists of two years (4 semesters) at Institute of Business Administration, Karachi. Students are also facilitated with scholarships, stipend and financial assistance so no student remains deprived of quality education. The professional attitude students of IBA (Karachi), shines them out. Their interpersonal skills and charismatic personality is developed through quality studies and challenging experiences of projects, case studies, tutorials, presentations, quizzes and participation in different business competitions at national and international level. They have rigorous faculty who perfectly complement the blend of courses at IBA and are well aware that how to inculcate the professionalism in students. Lahore School of Economics: Lahore School of Economics, another name in the race, has also achieved enough fame, repute and market value. Masters in Business Administration at LSE is ranked at 3rd number but in Lahore, it comes after LUMS. In LSE, MBA students are given challenging case studies and tutorials to equip them with proficient skills in their long hour classes.. Life at LSE is quite hectic when it comes to study. Students have to stay in the university for long hours till evening. And even after going home they have loads of work to be done either regarding quiz or projects or assignments. Students face quite tough studies. But besides all this, there is fun and enjoyment as well. Students get quite chilling, friendly, social and open environment. Lots of events, gigs, parties held at LSE. LSE is also famous for certain notorious events and stuff at it. Culture is quite liberal and out of limits. Graduates at LSE are quite blunt, confident and bold. LSE hold very good market value. Students get jobs in national and multinational jobs and hired as trainees in top ranked banks and institutions, after completion of their Masters’ degree at LSE. 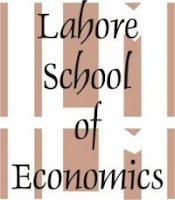 For admission at Lahore School of Economics, you have to clear an entry test that is conducted by LSE it self. Institute of Business Management, Karachi: For me the main features of IBM's MBA is that they offer MBA in so many disciplines from 1 year MBA to 3 year and from general MBA to specialized in Finance, Marketing and HRM etc. Another plus which IBM got over other institutes is their faculty, they have so many foreign PhDs with vast teaching experience and unique teaching style. Although MBA from IBM didn't got nation wide recognition in the sense like top two institute LUMS and IBA got this much recognition that students from all over the Pakistan apply to get admission in them. But still IBM Finished at number four in Eduinn's ratings. 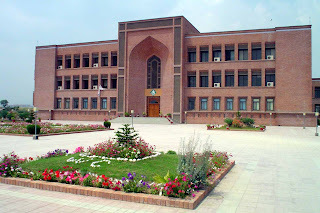 International Islamic University is the only one of its kind in Pakistan and provide a real Islamic meaning of education to both Pakistanis and outsiders. 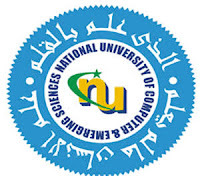 With promising management and pure dedication towards education and education in pure Islamic way. Its not that IIUI only provide Islamic education as its name suggests, its a complete package of Management sciences to engineering and from social sciences to islamic studies. The whole idea behind this institute is to provide young nation the latest education with some Islamic touch. Well it seems quit impresive, the whole idea, but the question here is that weather they really provide what they claim? My answer is yes. They are really providing a brilliant enovironment rather Islamic enovironment to students which is producing some great youngsters, altough IIUI's students are not yet getting welcome response from market but they got a great potential to capture the market in really near future. IIUI is growing with great pace because of two major reasons; first which is its greatest strength is its students who are really hardworking and passionate about their studies and second is its management's dedication about this institute. Teachers are cooperative to students who get frequent assignments to do and marked on a lenient scale so students are quit satisfied with their teachers. Most of the teachers Masters which for me is a weakness at the university's end because at this competitive market you got to have some real experienced fellows to make your students something like brilliant. Some of the weaknesses are as I mentioned above about the qualification of teachers is mostly Masters. Generally administration is very non-cooperative with students which create little bit of dissatisfaction among them so they, the administration, need to be more cooperative with students. And also students don't have much liberty to complaint against management which quit unjust on the part of Management. Lets have some quick review of different aspects of IIUI. HISTORY: Back at 1980 this institute established but construction of its new campus made it possible to expand and offer a whole new line of programs. Old campus was located around the Faisal Mosque which was not much spacious to make it a quality place to learn so the management decided to build a new and large campus. BASIC INFORMATION: New campus of IIUI is situated in sector H-10 of Islamabad. In this purposely build campus they consturct seprate hostels for male and female students. Education in IIUI is also sperate for male and female students which somehow matching with all the Islamic concept behind this institute. STUDENT TALK: Students are really satisfied with this institute's education standards and also with the teachers' attitudes. But a students of IIUI told me on the behalf of others that management and administration is not much cooperative with students and don't give proper attention towards their problems. Other then this complaint they seems like happy with this institute. FACILITIES: Facilites at International Islamic University are above average because of these plus and negatives. Library, Computer and Science labs are above average with library having huge amount of books, journals and magzines reaching almost 1.5 million in numbers and computer labs are up-to-date and science labs are equiped well. Full transport is provided to students of twin cities. Hostel facility is also there for both male and female students. Class rooms are air conditioned and well maintained. Cafeteria is not up to the mark as it is low on quality and variety. Overall all campus building is also clean and well maintained. PROGRAMS OFFERED: IIUI is offering different programs in following faculties. WEBSITE: Here is the weblink of Islamic university click here to have more knowledge about IIUI.